Easy big guy! That’s what you can be saying while your awesome cardboard cut out Chewie stands guard over your millenium falcon flat. 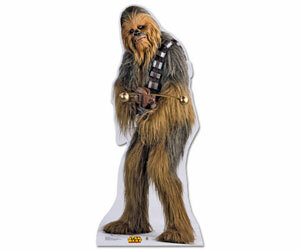 * wookie food not included – not that he’d eat it, he’s cardboard.